This magical Uluru journey takes you into the heart of Creation, to travel your soul lines, expand your cosmic truth and connect with sacred wisdom. 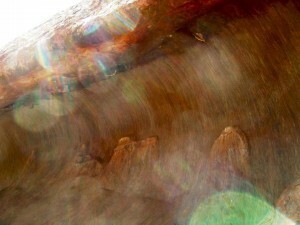 Join us and be one of only 7 heart-centred travellers to experience this depth of transformation in such a sacred place. 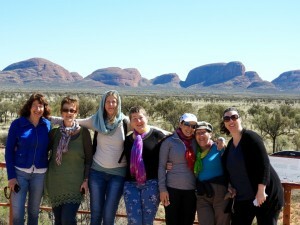 Our 2019 Sacred Connection Journey to Uluru and Kata Tjuta, in Australia’s Red Centre, is set for 05-10 May 2019. Our last beautiful group had an incredible adventure. 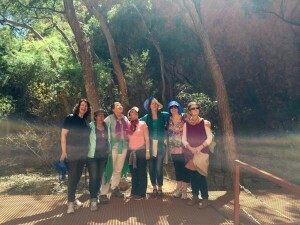 We formed a sacred sisterhood, sharing a depth of love and connection that we knew spanned many lifetimes. It was like seven rays of light, coming together to form the essence of the Rainbow Ray. The Star Ancestors guided us through these ancient sacred sites, that are still actively used for ceremony by the Anangu people. We always walk with complete respect for the traditional custodians of this land, asking permission from the Ancestors before we enter sacred ground. The common feeling amongst participants of the past journeys was that it transformed their life, in so many ways. It redefined their perception of unity, shifted their focus and gave them the energy they needed to expand their world. Even their work changed, as you’ll see in some of the testimonials I’ve shared on the website. It filled my heart to know that each one returned in a different space that impacted so positively all around them. It truly is an experience of a lifetime. I’m so grateful that I’ve been guided to continue this sacred journey. This is a small group of only 7 special souls and me, so if you feel called to join us, I’d love to chat with you. I hope you can join us on our next illuminating adventure. It will shift your world into a whole new dimension.